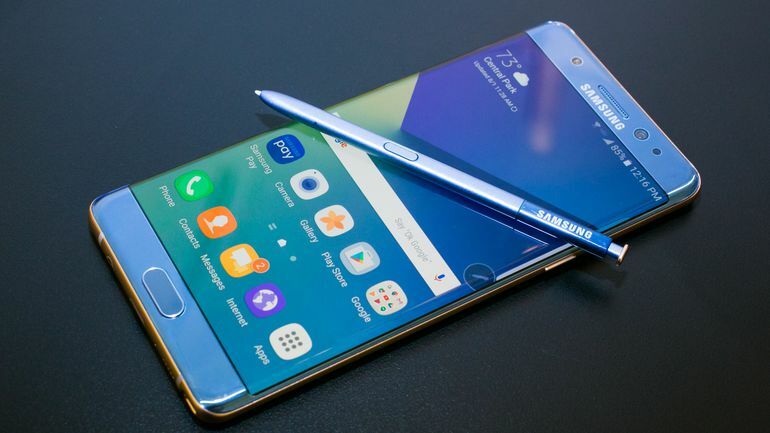 It is no longer news that some users of the Samsung GalaxyNote 7 released this year has witnessed cases of battery explosions which led to recall of the device twice. Although, the company has stopped production of the device, announcements has been made by the company urging customers to go and exchange their Note 7 for other Samsung smartphones and even get rewarded. Samsung has taken a step further this time by offering up to $100 in credit to every customer who exchanges their Note7 for another Samsung smartphone. The company said so in its updated Note7 recall page which plainly states that the recall has now been expanded to "all Galaxy Note7 devices," and asks consumers with a Note7 to power it down and return it to the place of purchase. Bear in mind that the new offer, which goes live on Oct. 13 at 3 p.m. ET, is only for U.S. customers, as users in other parts of the world have different recall programs in place. "As a sign of our appreciation for your patience and loyalty, we are offering up to a $100 bill credit from select carrier or retail outlets if you exchange your Galaxy Note7 for another Samsung smartphone, less any incentive credits already received," Samsung wrote. Furthermore, if you've already exchanged your Note7 for another Samsung smartphone, you "will receive up to a $75 bill credit from select carrier or retail outlets in addition to the $25 you previously received." Even if you exchange your Note7 for another brand or ask for a refund, you will still receive a $25 bill credit from select carriers and retailers — again, less any incentive credits you've already received. “We appreciate the patience of our consumers, carrier and retail partners for carrying the burden during these challenging times. We are committed to doing everything we can to make this right,” Tim Baxter, president and COO of Samsung Electronics America, said in a statement. While the Note7 is now effectively and officially a dead and risky device, some lingering questions remain. And this is the question of, What exactly caused the Note 7 explosion issues as it will be fair to conclude that it seems the Samsung company never really found out. The CPSC (United States Consumer Products Safety Commission) has shared some new details about the second Note7 recall. According to them, both recalls include a total of about 1.9 million units. Moreover, Samsung has also received a total of 96 reports of Note 7 batteries overheating in the U.S., 23 of which have been filed after the Sept. 15 recall announcement.